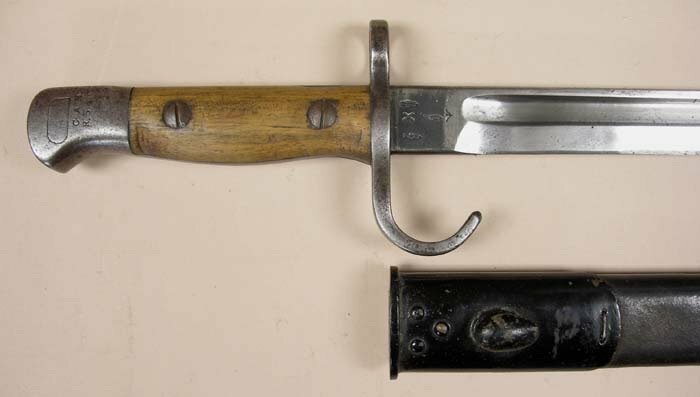 Pommel markings are Cameron Highlanders, Reserve with a rack or weapon number of 590.
curious to see the other side of the blade that shows date of production, and are there any markings on the scabbard? 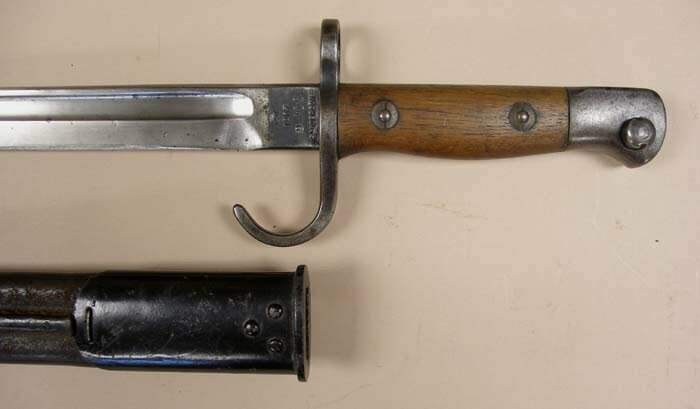 This is getting interesting... For years bayonets with 'Reserve' markings were, shall we say, rarities on GWF'? Now they seem to be coming like the proverbial London Hackney Carriages on the No. 7 route - and HQ's at that! I sorry , no have pic's of reverse side. Rare for me go "Home" as a trucker in U.S., was only few days,spent 2 full days trying photo my collection on the bayonets. Sadly, was big failure. Too dark inside, flash no work. Outside too bright. Pics were fuzzy/washed out . Photos I kept were from my cell phone as last resort. Outside, I could not even see screen. Will be several months before go home again. When I do. Hope have a camera with macro capable. Thanks for trying. I do appreciate / understand the effort involved and disappointment when the results are inadequate. On the plus side, like our old mate Sawdocs (where ARE you mate?) the travelling around job does seem to bring to you lots of nice new and very interesting babies to love, cherish, and make us all here salivate! I think the black-painted locket was a WW2 thing - but I'll be corrected soon if wrong! You are right SW -- What are these "Patt. '14 bayonets" of which you speak ? My Pattern '14 Rifles all sport Pattern '13 bayonets! 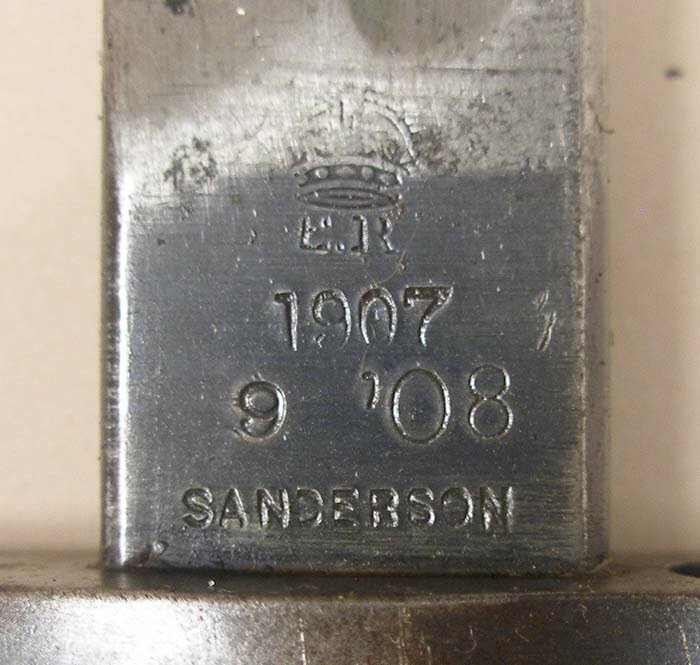 Back to the ricasso markings - the Sanderson 1908' and - I think - 1909's both used this 'odd' font for the year date... I uselessly wonder why? I think you're right with regard the ww2 period painting, I have a Canadian 07 that had a pommel repair and was drenched in the stuff. Hadnt noticed the difference in date stamps before...many thanks, I'll keep an eye out now.